Only in your wildest dreams could you have imagined a vacation rental that is as cozy and comfortable as this one. Recently renovated and refurbished in 2015, this oceanfront cottage is the perfect spot for your Emerald Isle vacation getaway. 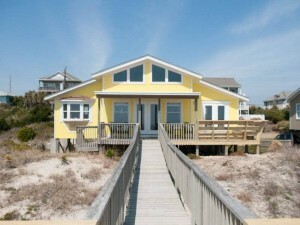 Southern Comfort has 4 bedrooms, 2 bathrooms, and can sleep 10 guests. 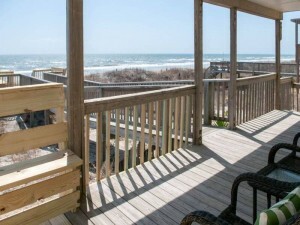 The two master suites are oceanfront, with one having porch access. 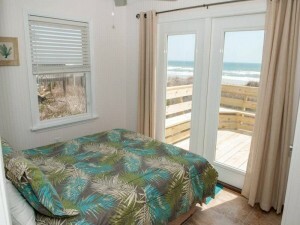 Ceiling fans are available in many of the rooms to circulate that calming coastal breeze. Additionally, take comfort in knowing that all beds are furnished with Island Club linens. The living area is open and inviting, with multiple plush seating areas. Enjoy a casual happy hour at the bar-height table looking out on the waves, or gather your family around the more casual dining table, that seats 6 guests. The open kitchen features beautiful granite countertops, with additional bar seating for morning conversations over coffee and breakfast. 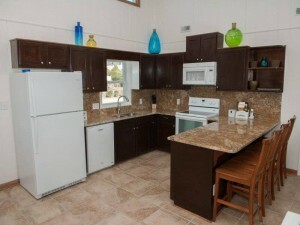 This property offers so much to keep you busy during your stay. 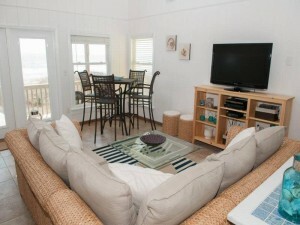 The cottage comes equipped with 2 cable TVs, 2 DVD players, and wireless high speed internet access. But like most of the Crystal Coast, the real fun is outside. 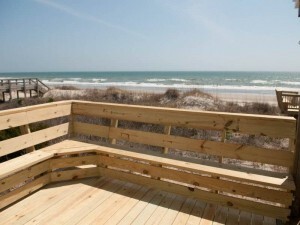 Southern Comfort features a large sundeck and covered porch with lounge chairs and built-in wooden benches. 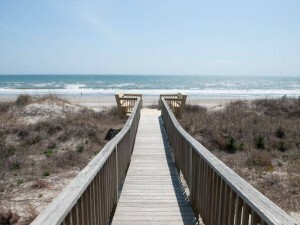 Stroll down your private boardwalk to the beach for anything from sunbathing to shelling. And once you’re done, rinse the sand away in the enclosed hot/cold shower with private dressing area. Available year-round and by the week, Southern Comfort is the perfect spot for your next vacation. 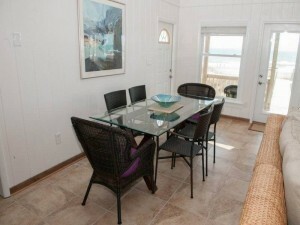 It’s close to dining and shopping with easy access to the beach.  View additional property photos and book your stay at Southern Comfort today!